"I realized that I was no longer living a life of my choosing." By The Numbers: 416 pounds at my heaviest, currently at 212 pounds (pre-skin surgery), for a total weight loss of 204 pounds. The Weight Gain: My weight gain started much like everyone else suffering with weight: a diet filled with just one more pop, one more slice of pizza, one more piece of cake, weight loss shakes, and endless attempts at dieting. If it tasted good, then I felt good and I was happy. 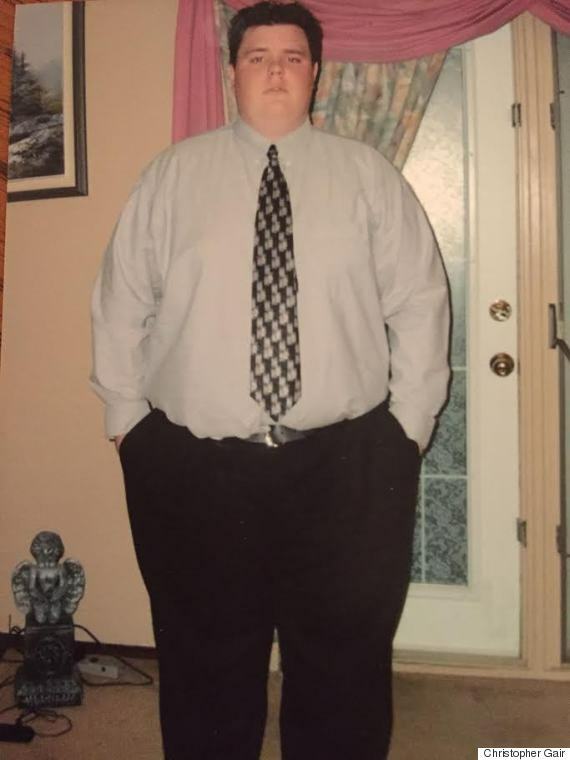 In 2005, I was almost a man. Having graduated high school, I was faced with my future. My uncle, a man I hold in the highest of regard, was dying of cancer. The healthiest, most physically fit mentor in my life was a gymnast, an athlete and a smoker. I was met face-to-face with my own mortality, albeit a different means to my end, what he sought in tobacco, I found in food. "I’ve made sacrifices TO my health, high blood sugar, high cholesterol, high blood pressure, now it’s time to make sacrifices FOR my health." This was my first attempt to change. A gym membership was purchased, diet plans established, results were made, but I was still me. My uncle was proud of my hard work and dedication. I was on my way to making my change. He died, knowing I was changing my body, but I didn’t change my mentality. Making every excuse for myself, it was all back. My dad was now diagnosed with cancer. I made efforts to make him proud, all met with failure. It’s still upsetting to me knowing that he was proud of me for my efforts to change. He too died amidst my personal failures to live a healthier lifestyle. With the death of my close family members, I experienced a decade of physical decline. Final Straw: My doctor told me I wouldn't see my late thirties if I kept up the way I was. Fatherhood was my next catalyst for change; I had hit my rock bottom physically, but my highest high emotionally. My son was born in April 2013. I suddenly realized that I was no longer living a life of my choosing, it had to be a new life of selflessness, mentoring, parenting... fatherhood. The Plan of Attack: I’ve made sacrifices to my health, high blood sugar, high cholesterol, high blood pressure, now it’s time to make sacrifices for my health. I started with research: How does my body work? What should I eat? When should I eat it? I asked healthier co-workers for help. What did people do 30 years ago? 40? 50? 100? Paleo? Sugar? What is sugar? Who doesn’t eat sugar? How can I eliminate sugar? I started the Paleo diet under the suggestion of a friend and co-worker and lost my first 100 pounds in eight months. The Paleo diet was five weeks of torturous hell. Each day was worse than the last — headaches, anger, frustration and cravings were just a fraction of my pains. 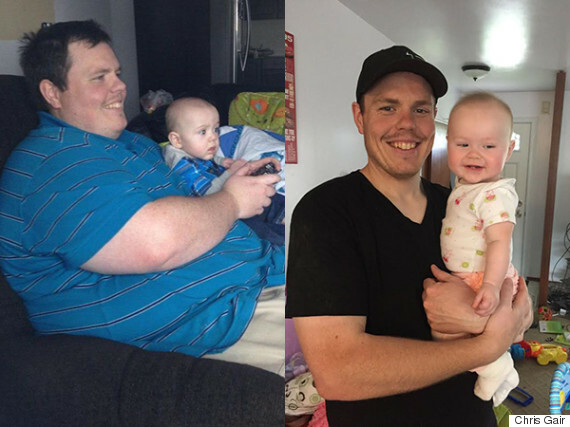 The Exercise Factor: Under the suggestion of the same friend, I joined CrossFit Winnipeg after loosing my first 100 pounds. CrossFit seemed like a good idea — I started slow not to get discouraged. I had a massive push from my trainer. In less than two years, I had transformed from an unhealthy, 412-pound man into a 220-pound fit man. CrossFit is now my new normal and I currently work out five days per week with one hour classes. "Not a sip of soda since the beginning, not a cheat day, not a slip." The Food Element: My body hit a reset button. I had to get rid my body's dependence on processed foods. Only single ingredient foods will do now. Dairy, gone. Grains and starches, gone. Legumes, gone — it irritated my stomach and prevented nutrient absorption. I focused on water, proteins, fibres and a tiny bit of carbohydrates. The weight practically fell off seven shirt sizes and 10 pant sizes in a few months. Not an ounce of iron was pumped, not a step of cardio was needed. The hardest adjustment was dealing with the cravings of the foods I used to love and couldn't eat anymore. These days, I still stick to the Paleo diet. The Current Day-to-Day: With a drastic body change come some side effects. I have developed inches of loose skin on every area of my body. Doctors have been consulted, measurements checked. I now deal with chafing, blisters and discomfort. Every day starts with a compression shirt and for my new body to match my new mind, it will cost the same as a fully loaded Sedan — $28,000! Not a sip of soda since the beginning, not a cheat day, not a slip. I will abstain for my young family of now four. I have a daughter. A daughter I will see graduate, I will see broken hearts, I will see my girl become a woman and I will walk her down the aisle. I can see that now, but I couldn’t see it before. I’ve accomplished so much in a short amount of time. So many goals have been set and broken. This journey could not have been completed without the well wishes of many, the compliments of a few and the help of even fewer. My coach Gary McLeod, diet plans, information and motivation was instrumental in my start and maintenance. 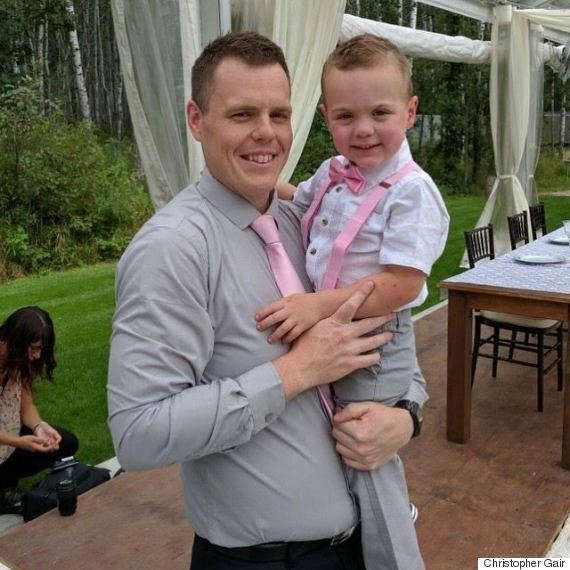 CrossFit Winnipeg – my home away from home and my family: I know it hasn’t been an easy road, but it is so worthwhile. To those that whisper compliments in the hallways of my work, to those that I've inspired to change, thank you, you are all my motivation. 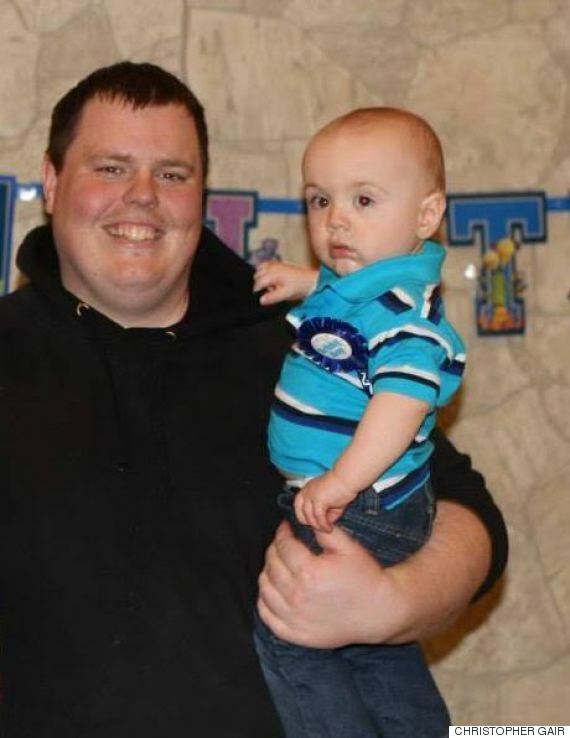 A GoFundMe account has been set up for Christopher to help raise money for his weight loss skin surgery. You can check it out here.